Successful leaders are often perceived as having extroverted, charismatic and larger than life personalities. There is no mistaking the fact many great leaders I have worked with fall into this category. However it is also true that many are quite the opposite, including one of the best managers I have ever worked for. Some may have called him an introvert and yes, he was never the loudest or most talkative within a group. But when he did speak, it was considered, well thought out and usually made a darn good point. 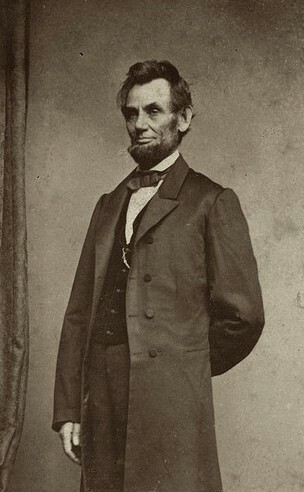 Abraham Lincoln, one of the most well known introverted leaders in history. The difference between loud chiefs and quiet commanders reminds of Aesop’s fable of The Peacock and the Crane. I have seen ‘successful’ leaders who are not ‘good’ leaders climb the corporate ladder with dexterity. Equally, I have seen good (quiet) leaders be ‘unsuccessful’ – going unrecognised simply because they didn’t fit the mould or shout loud enough about themselves to those that counted. If you are a quiet leader, don’t try and change who you are. At the same time, don’t allow your quiet demeanor to become a stumbling block to your success. Instead, be like the crane, and allow your understated prowess to shine through, guiding you to new heights – and inspiring others to fly alongside you.